Showing 1 - 20 of 114 results. 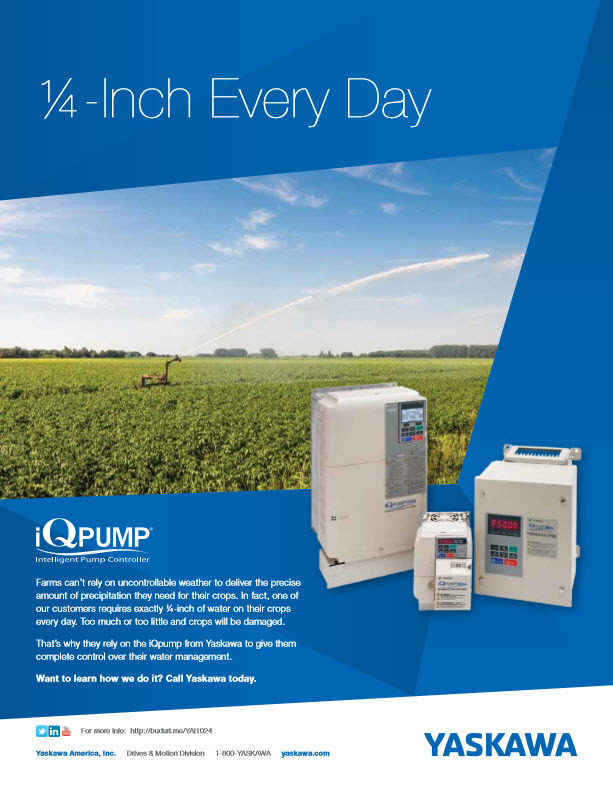 Single page success story involving iQpump1000 drives. Hydronics Modules Corporation (HMC), a division of N.H. Yates & Co., Inc. in Cockeysville, Maryland, is a booster skid pump design and manufacturing firm known for their ability to engineer pump systems tailored to unique application requirements. 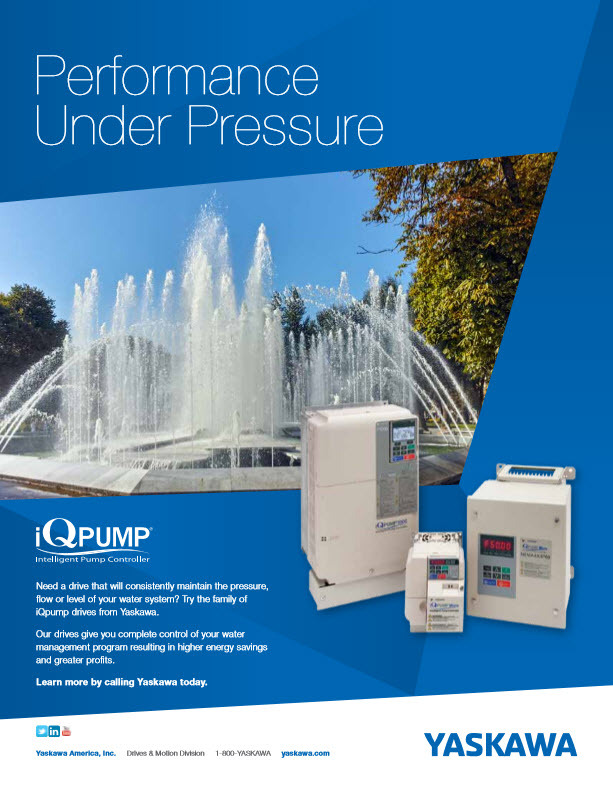 They were able to utilize Yaskawa iQpump®1000 drives to solve a water pressure problem for a Detroit area hospital. 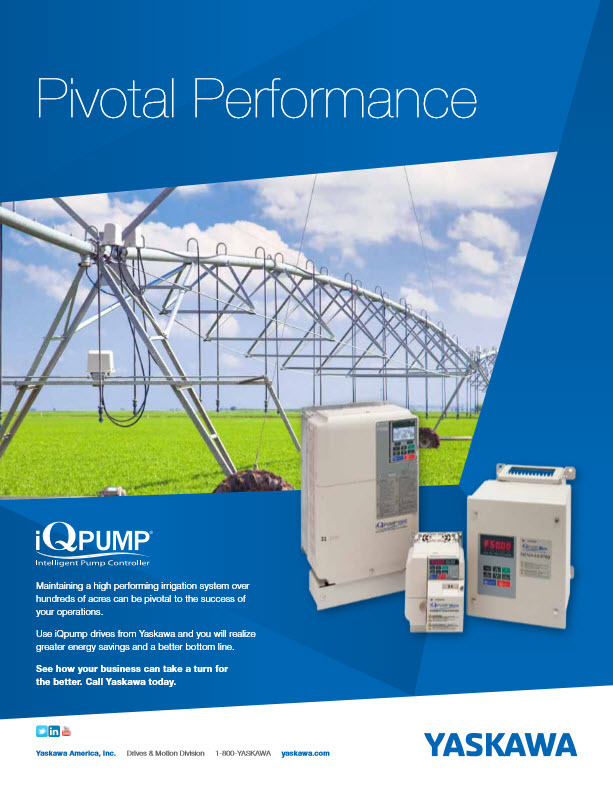 Single page success story involving iQpump1000 drives. Metro Irrigation Supply successfully installed a Gicon pump station at a local high school football field and reduced energy consumption by utilizing Yaskawa iQpump1000 variable speed drives. Dimension Drawing: P1000 Frame 10 for 6-pulse models: CIMR-PU2A0169AXX, CIMR-PU2A0211AXX, CIMR-PU4A0139AXX, CIMR-PU4A0165AXX, CIMR-PU5A0062AXX, CIMR-PU5A0077AXX, CIMR-PU5A0099AXX and 12-pulse models: CIMR-PU4T0139AXX, CIMR-PU4T0165AXX. Note: Drawing displays Open Type (IP00) configuration resulting from removal of NEMA 1 Type covers from standard drive offering.